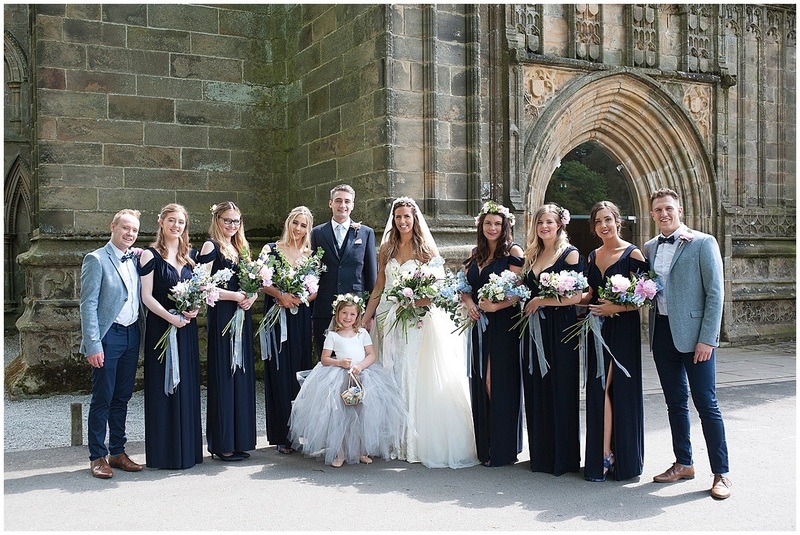 Good morning, well the sun is out which makes it a perfect day to look back at some spring time Bolton Abbey wedding photography from Craig and Jo’s pretty wedding in the heart of the Yorkshire Dales last year. Bolton Abbey is the beautiful estate of the Duke of Devonshire and lies in the heart of the Yorkshire Dales in Wharfedale near Skipton. 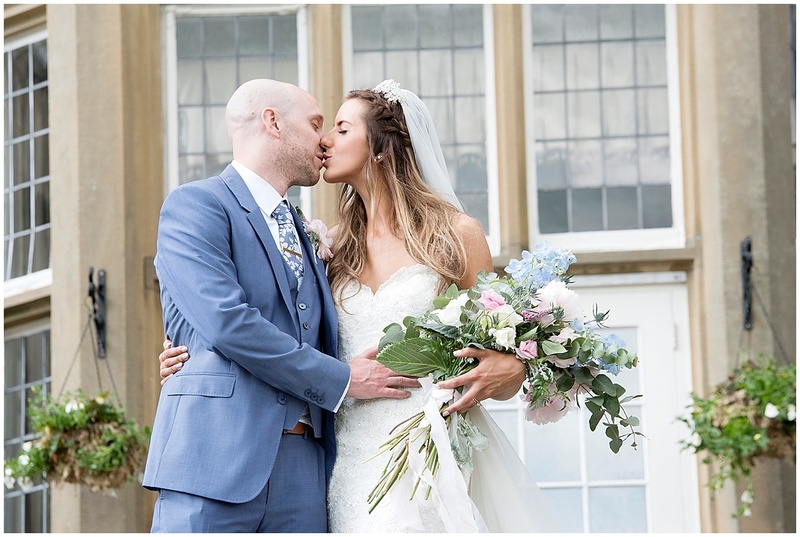 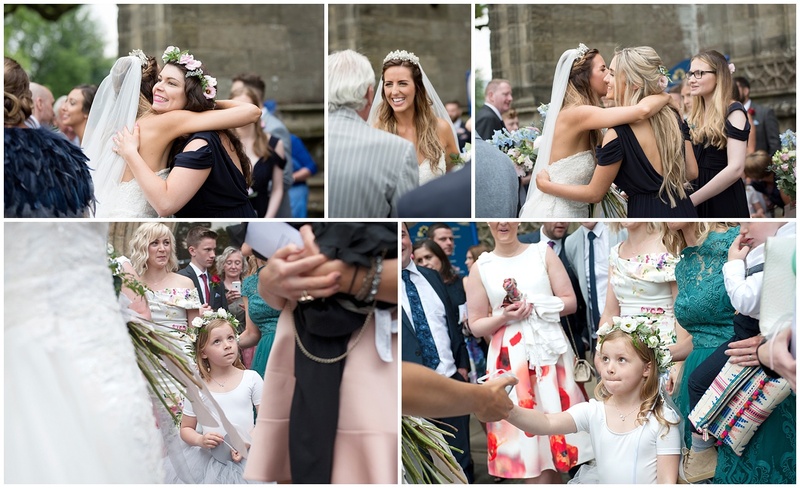 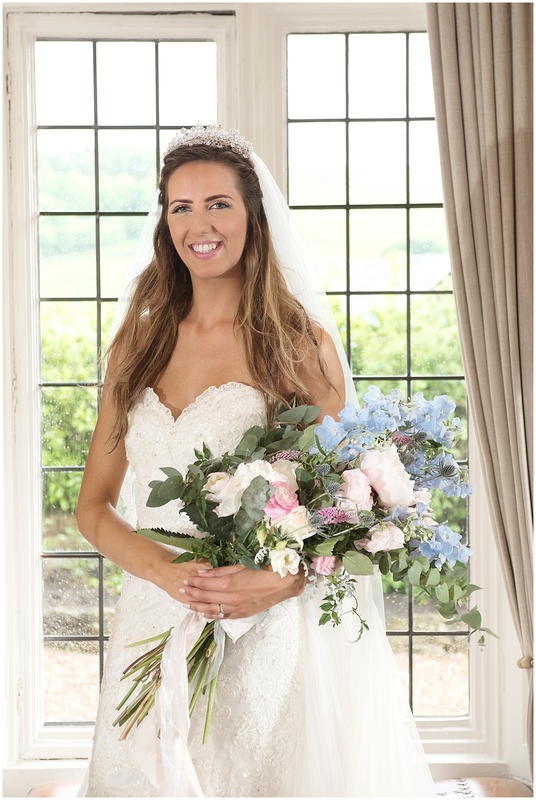 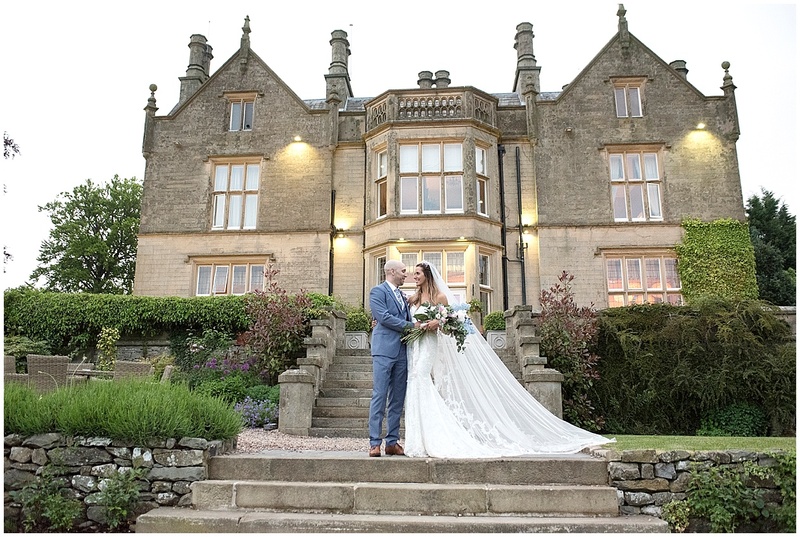 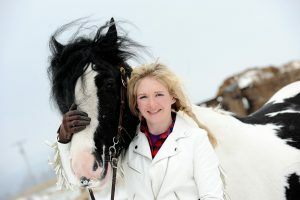 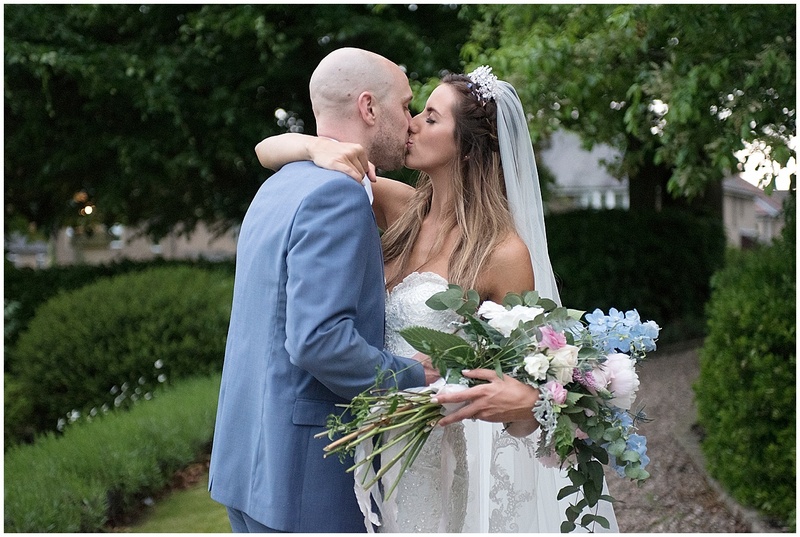 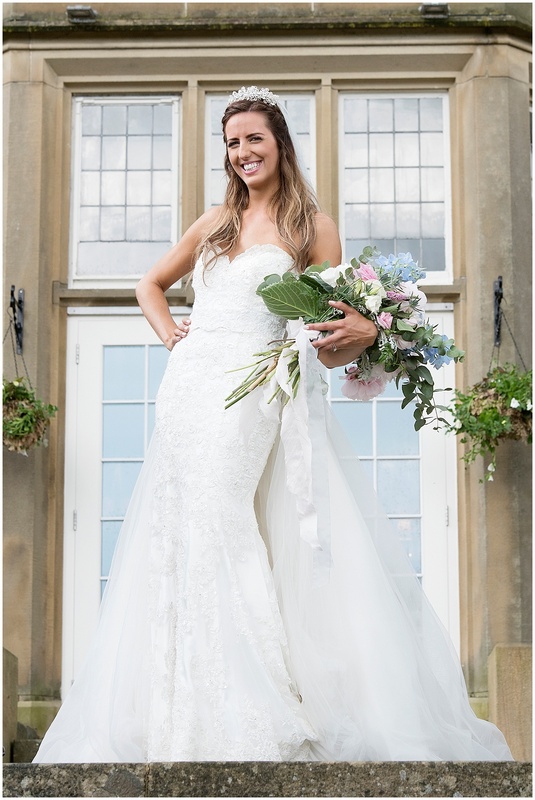 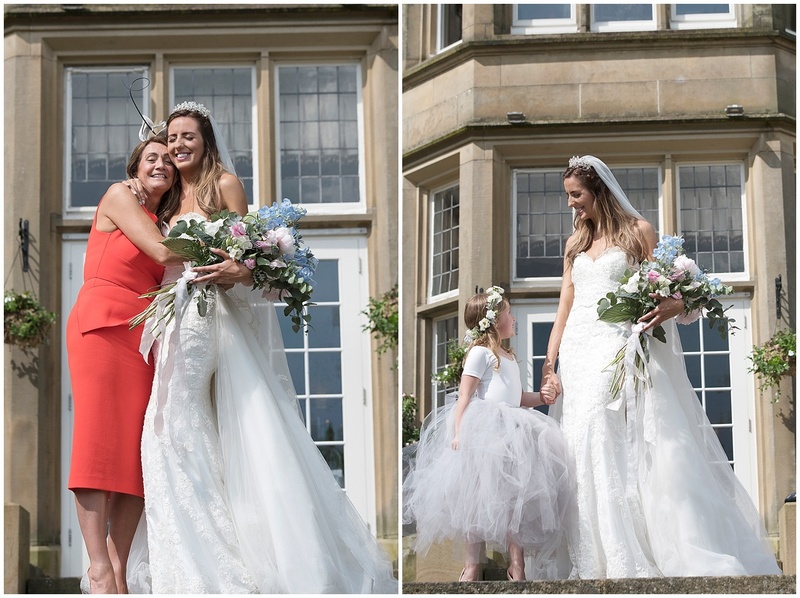 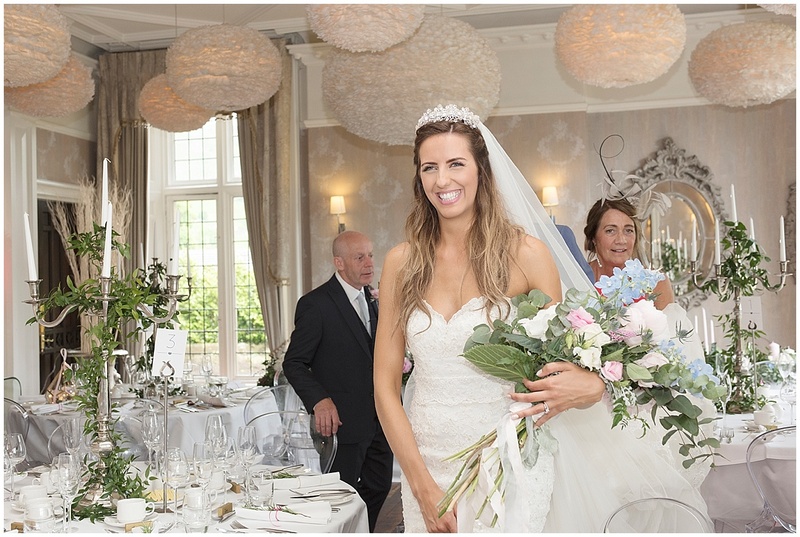 Jo grew up very locally to the estate and her family home is now just up the road in the pretty town of Ilkley so having their wedding at the church she has always been to was the perfect choice for their wedding day, especially when the setting is so idyllic. 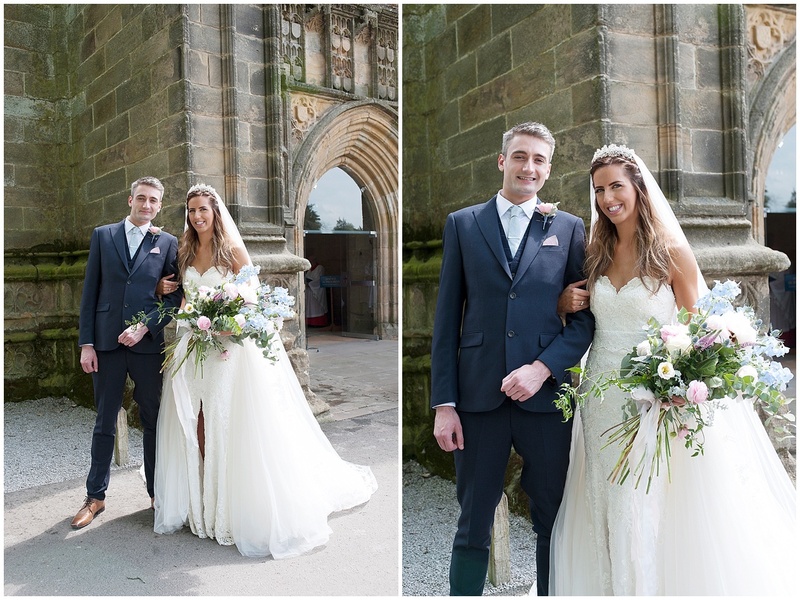 As a Yorkshire wedding photographer I am very lucky that I get to work in some beautiful places and Bolton Abbey is absolutely one of the best. 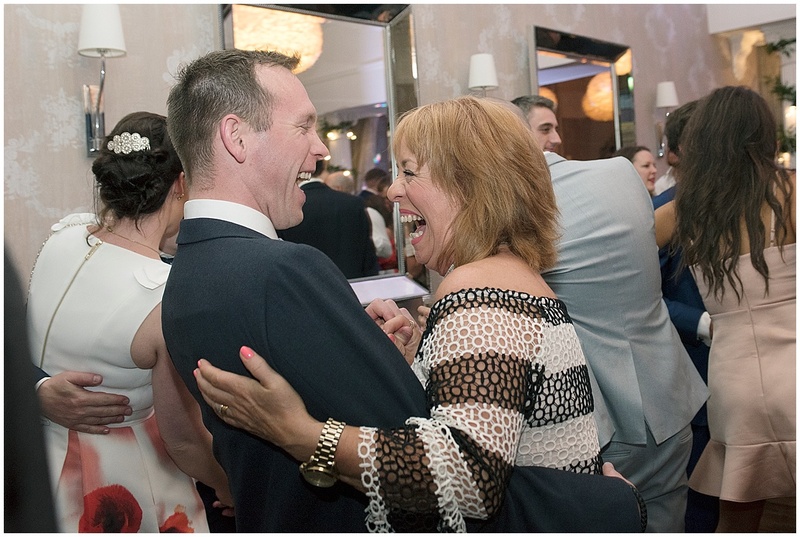 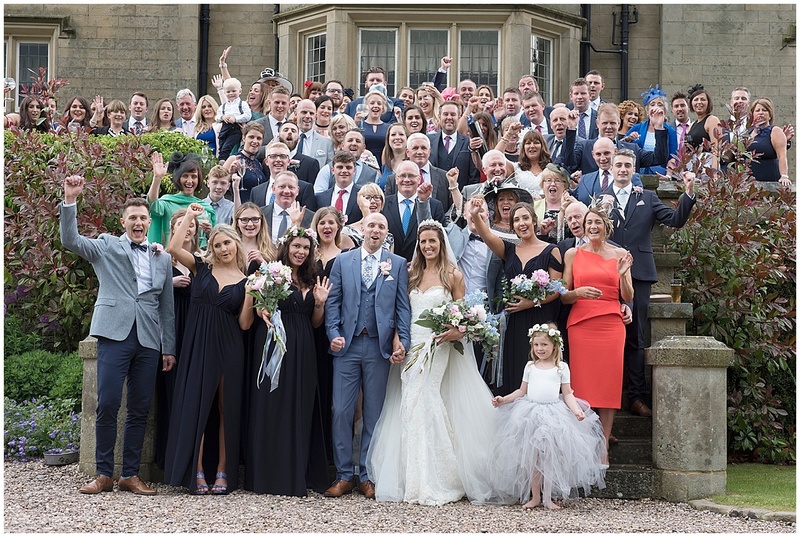 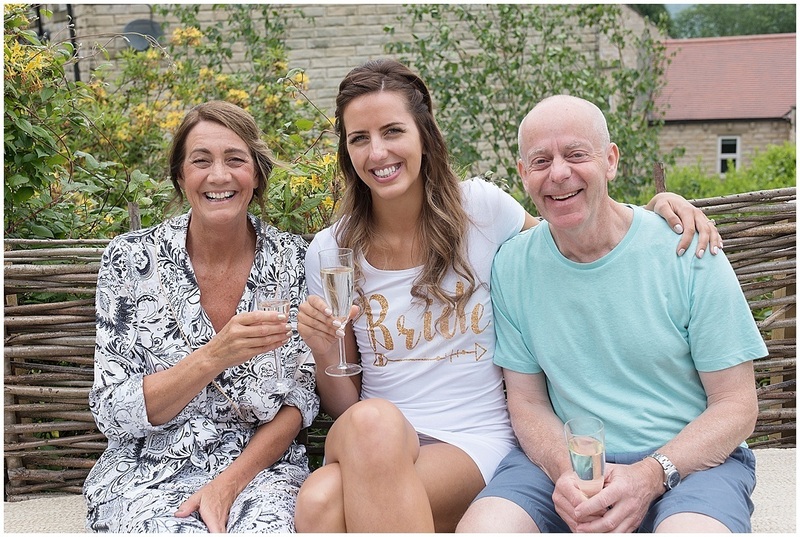 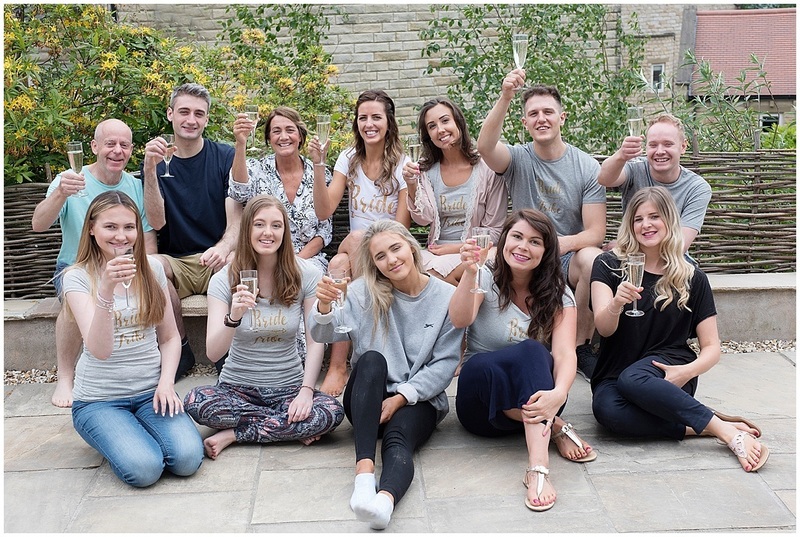 In the morning I met up with Jo in Ilkley where she was getting ready surrounded by her bridesmaids and bridemen…..yes when some of your closest lifelong friends are boys then they have to be included in the bridal party! 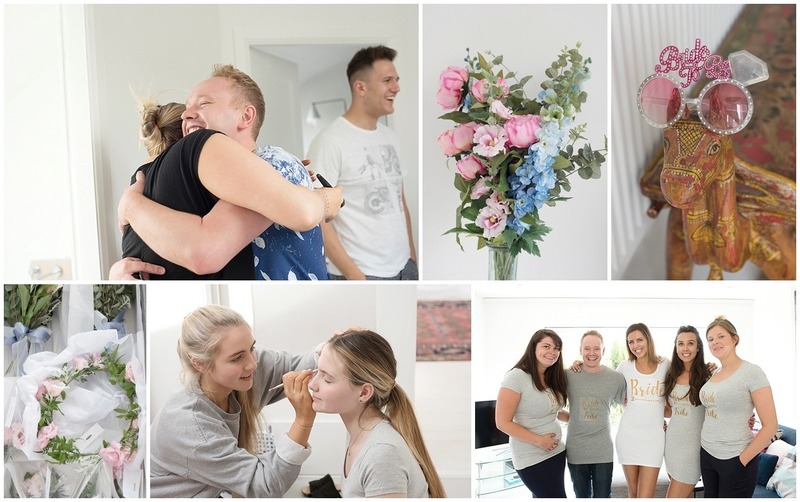 It was a very happy atmosphere as everyone got ready. 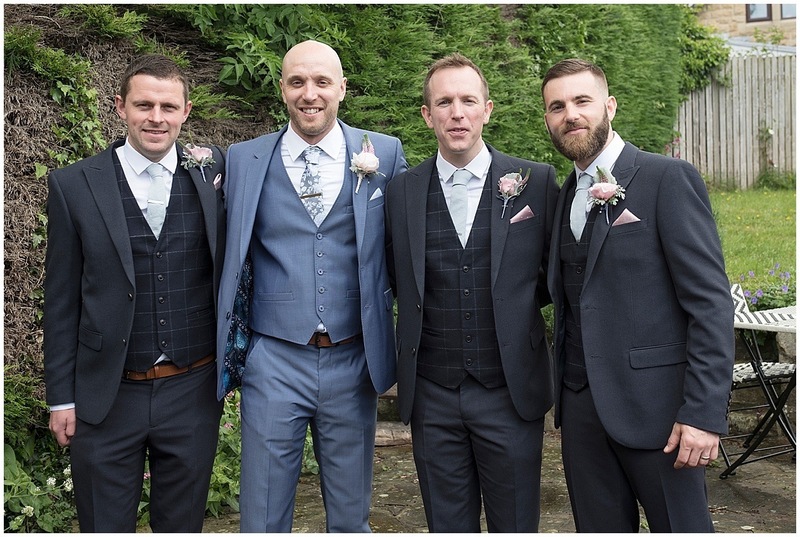 When it was nearly time to head to the church to say I do I popped round to see Craig and the boys who were equally as excited. 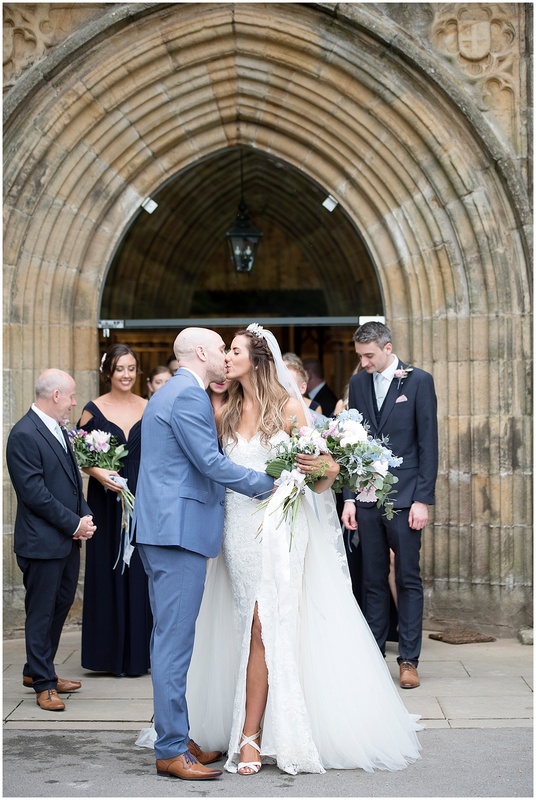 The wedding ceremony took place at The Priory Church of St Mary and St Cuthbert, a beautiful church situated right next to the the 12th century monastery ruins of Bolton Priory. 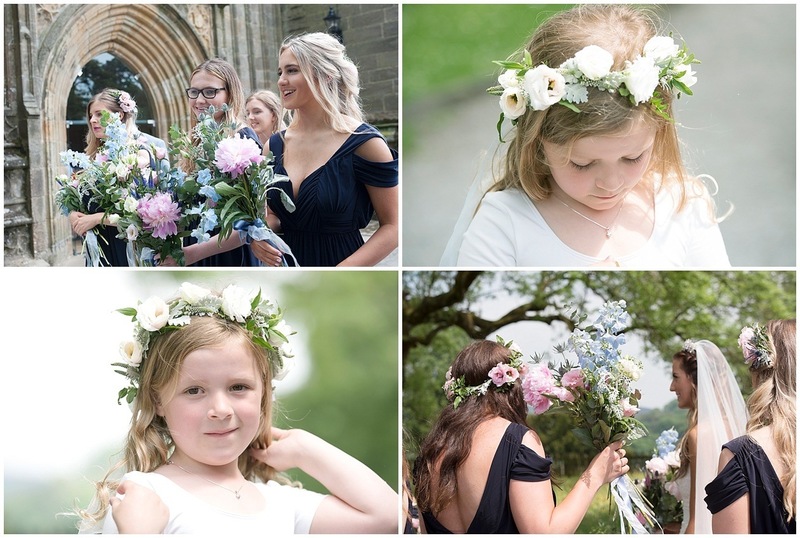 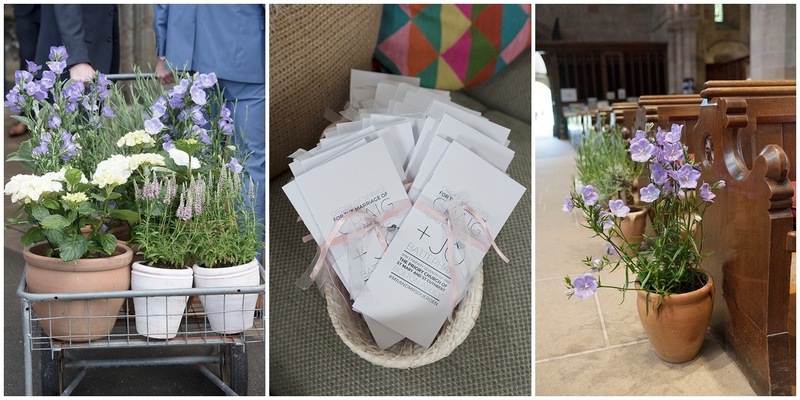 Guest enjoyed the spring sunshine and chatted away happily whilst Craig and the groomsmen put the final touches to the church by adding spring flowers to the end of each aisle. 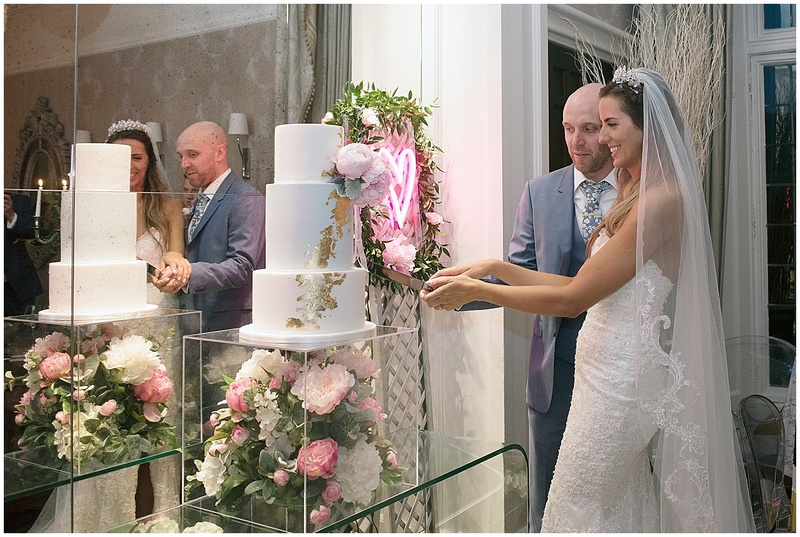 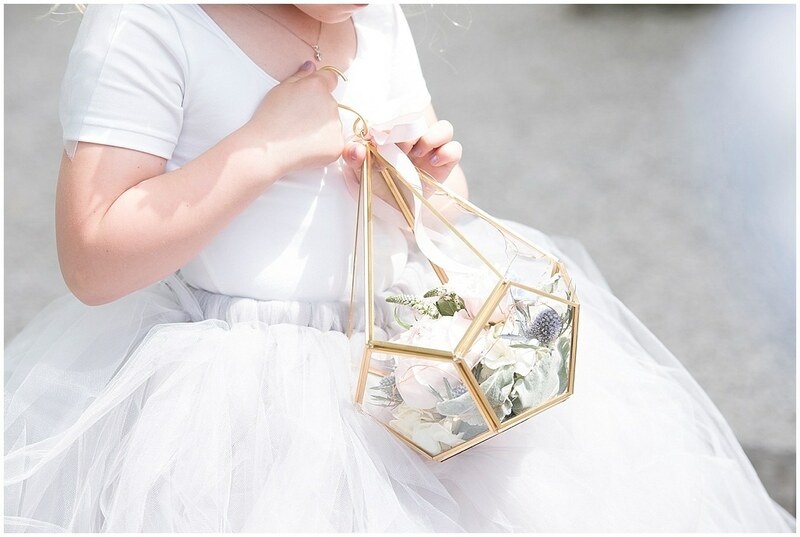 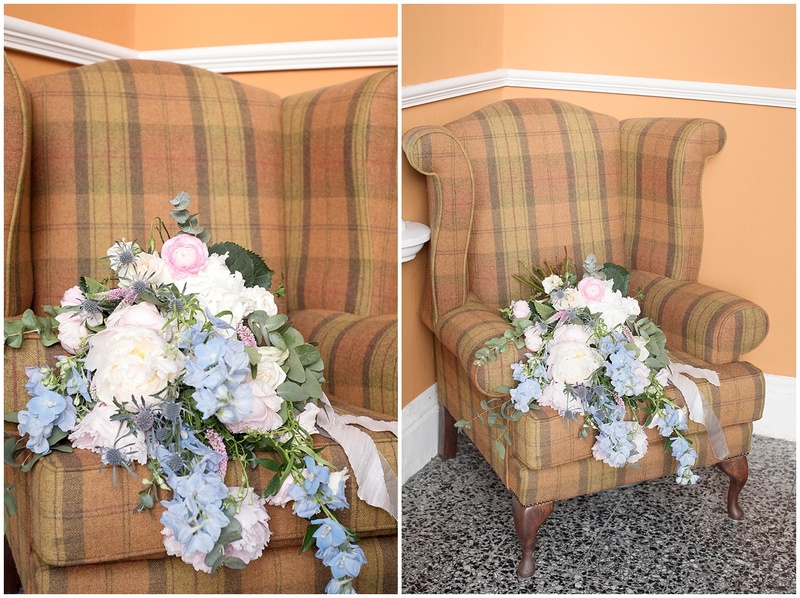 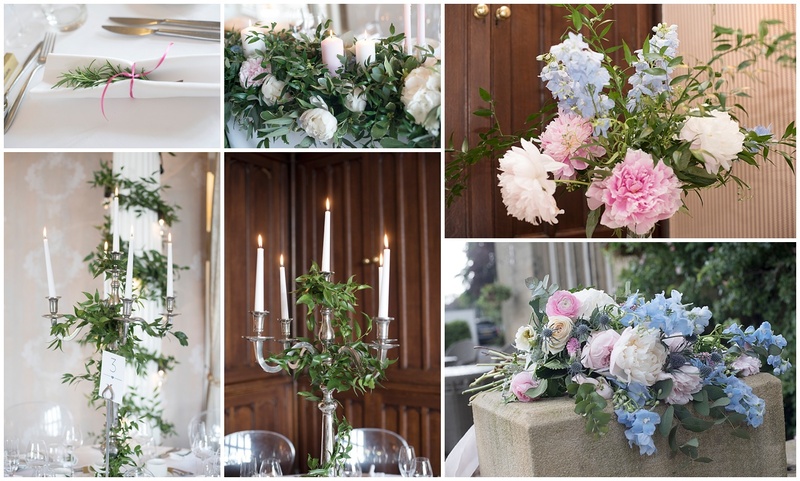 Well when the bride runs her own interior design business it is always going to be very stylish and pretty. 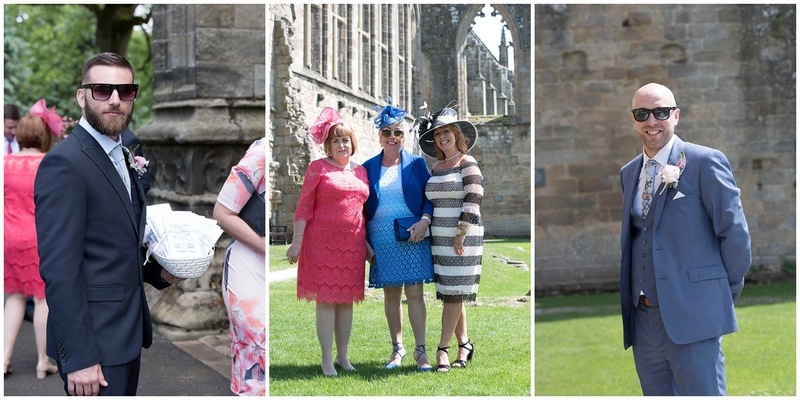 Guests made their way into the church and a few day trippers and locals waited to watch Jo arrive for her wedding. 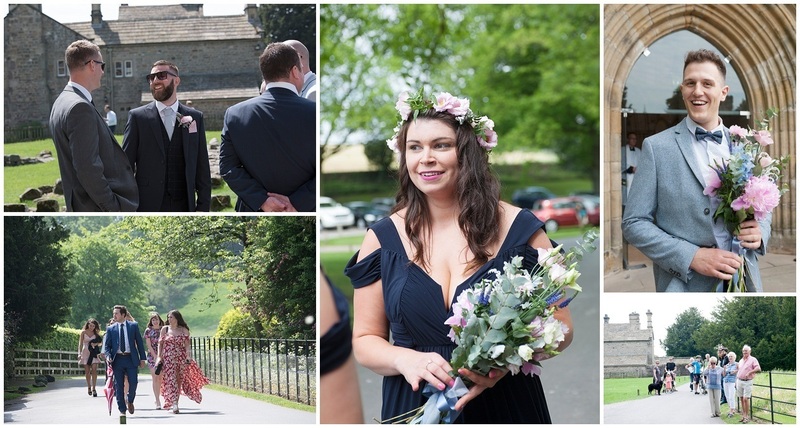 Jo was walked down the aisle by her very proud brother and a beautiful service followed. 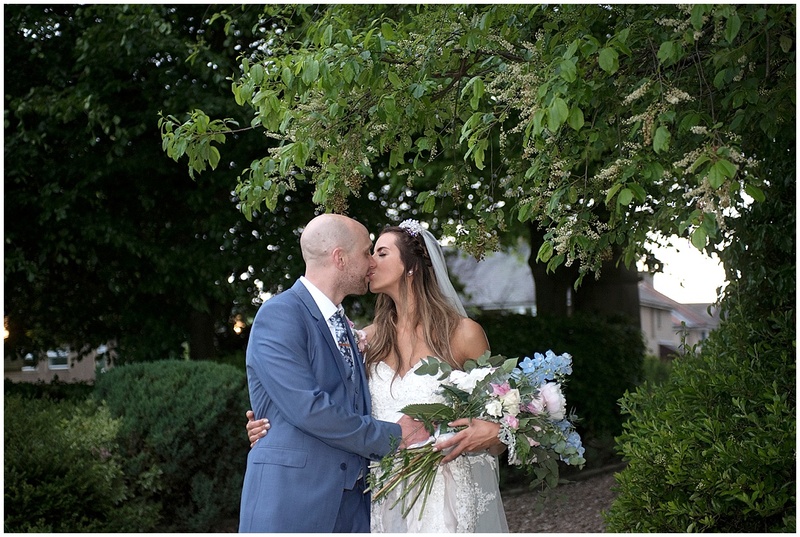 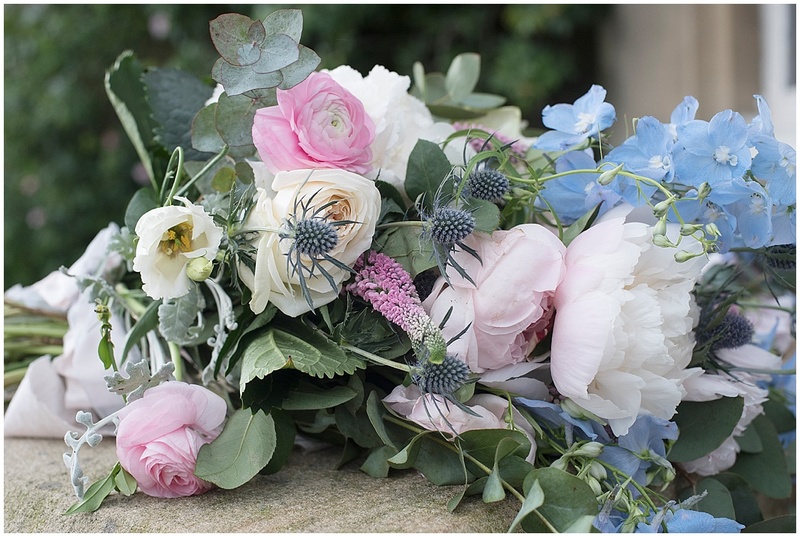 As the service continued and I was stood at the back of the church I could see the sky outside becoming darker and darker… it was a bank holiday weekend so of course thunderstorms were forecast, I was just hoping that they would hold off until after the photographs. 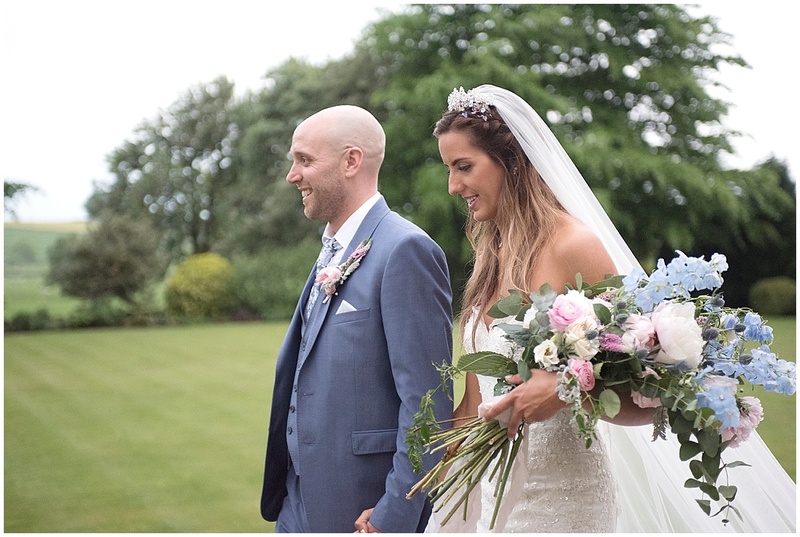 After the signing of the register Jo and Craig made their way down the aisle and out of the church as a new Mr and Mrs. 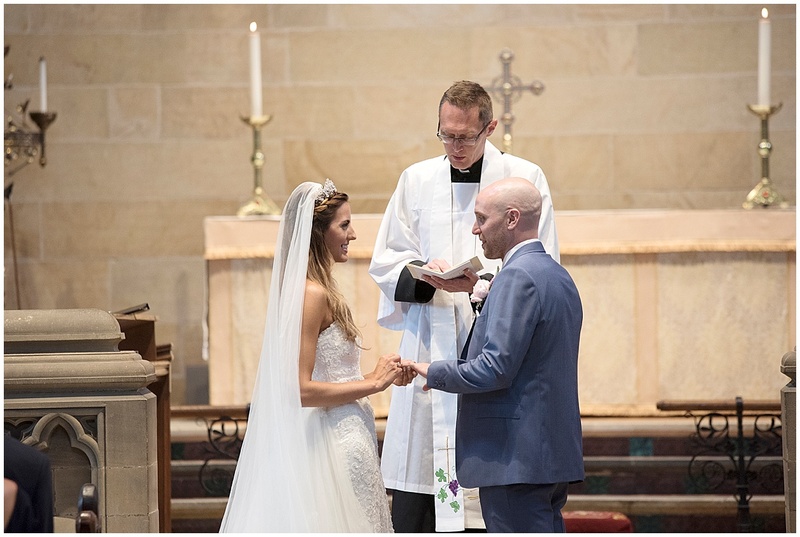 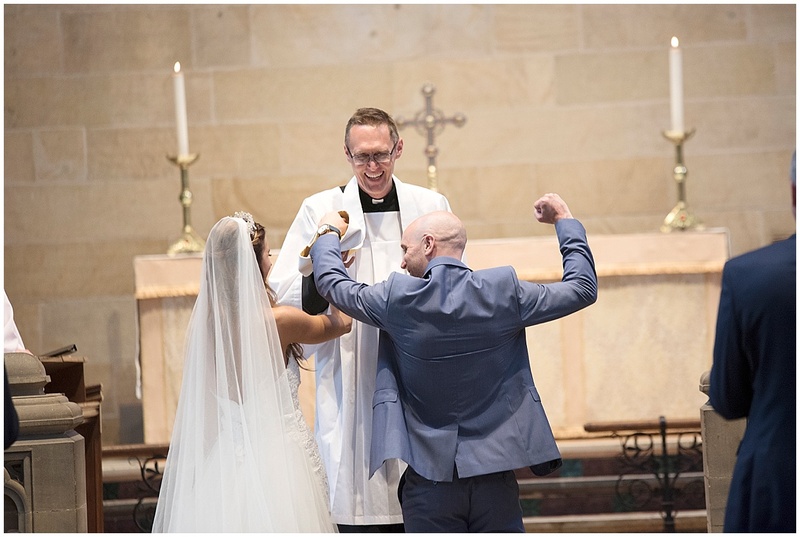 They were happily being congratulated by friends and family outside the church when all of a sudden the thunderstorm, lightning and such a heavy downpour arrived. 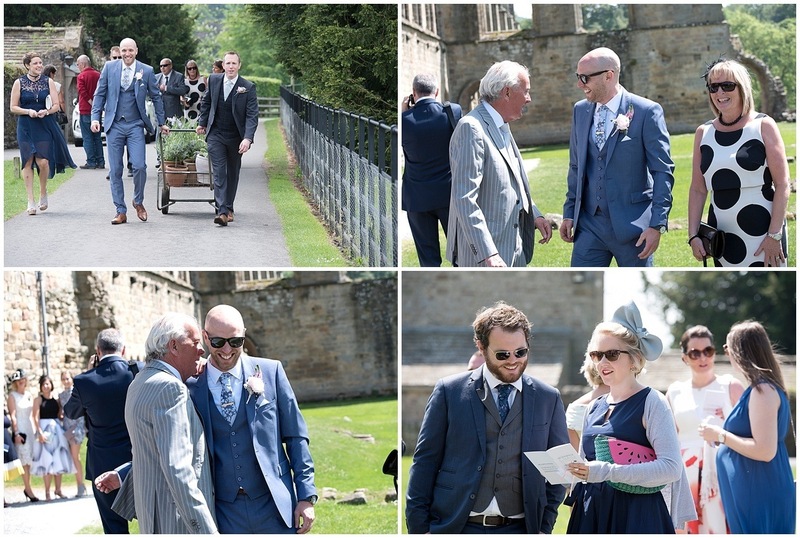 It was time to dash to the cars and head over to Settle where the wedding reception took place. 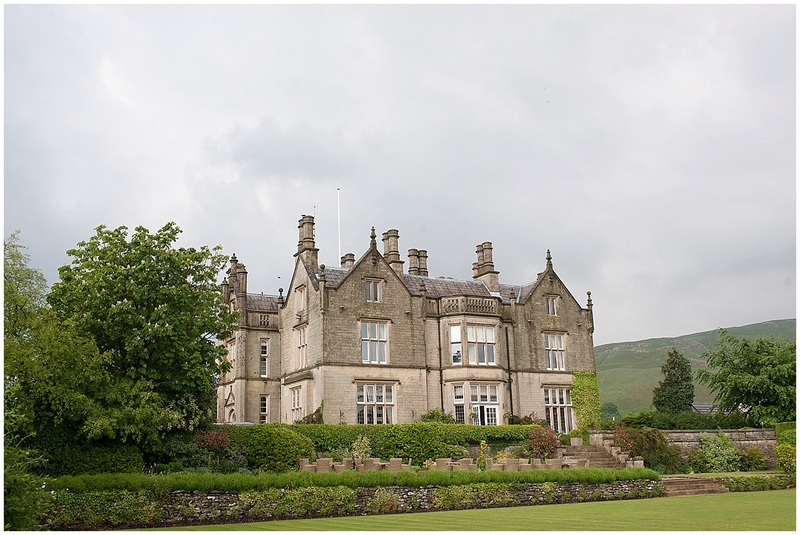 Driving across from Bolton Abbey to Falcon Manor in Settle was quite dramatic as lightning forks filled the sky and some of the heaviest rain I have ever seen fell. 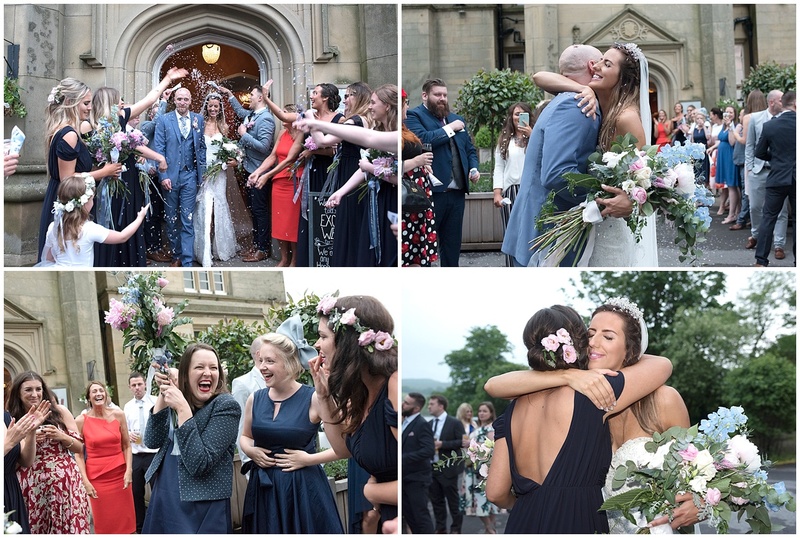 Guests enjoyed welcome drinks by the roaring log fire at Falcon Manor and then amazingly there was a quick break in the weather so we managed to dash outside for some photographs. 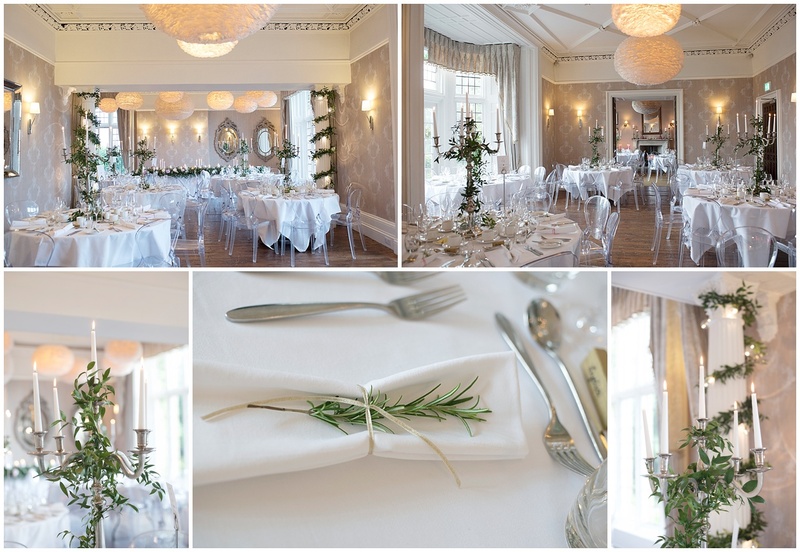 The reception room was beautifully decorated and looked stunning. 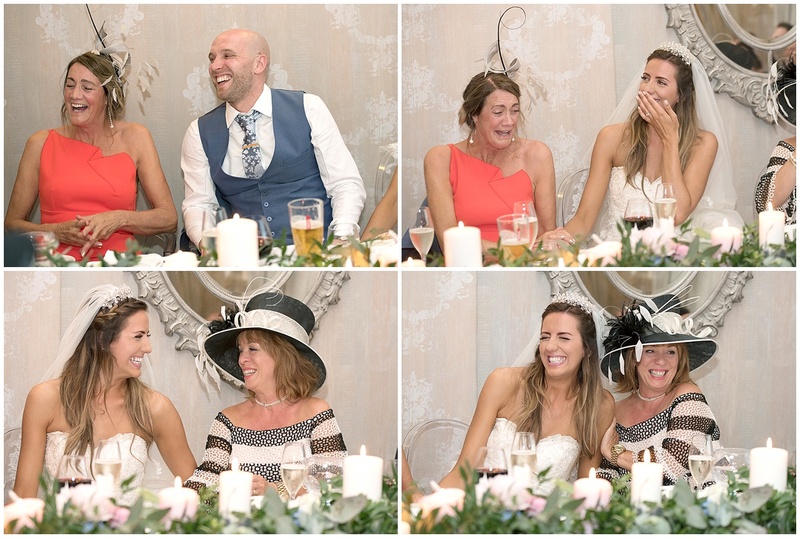 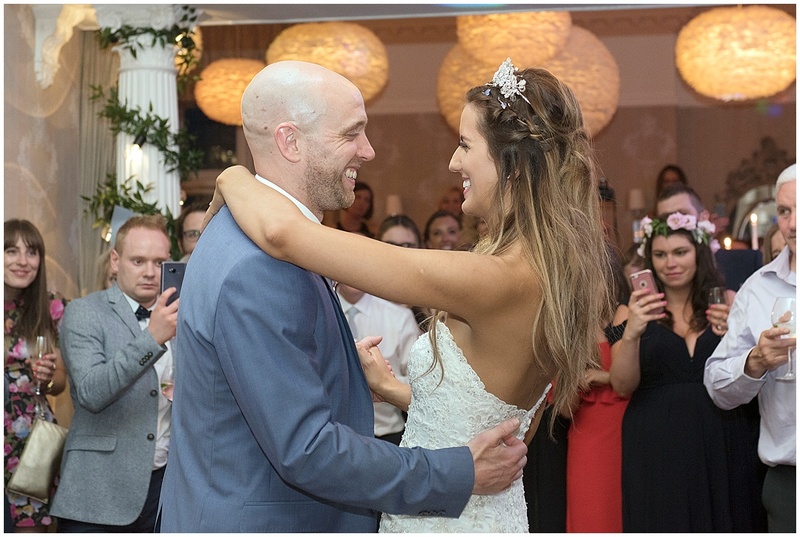 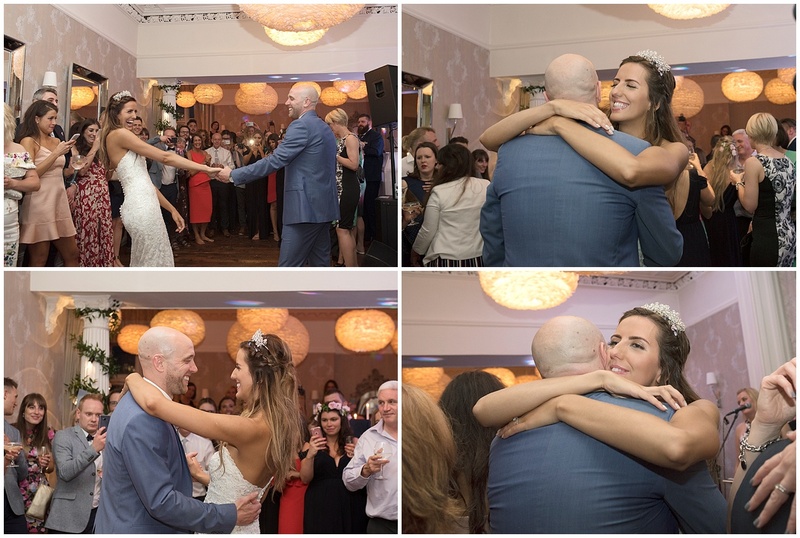 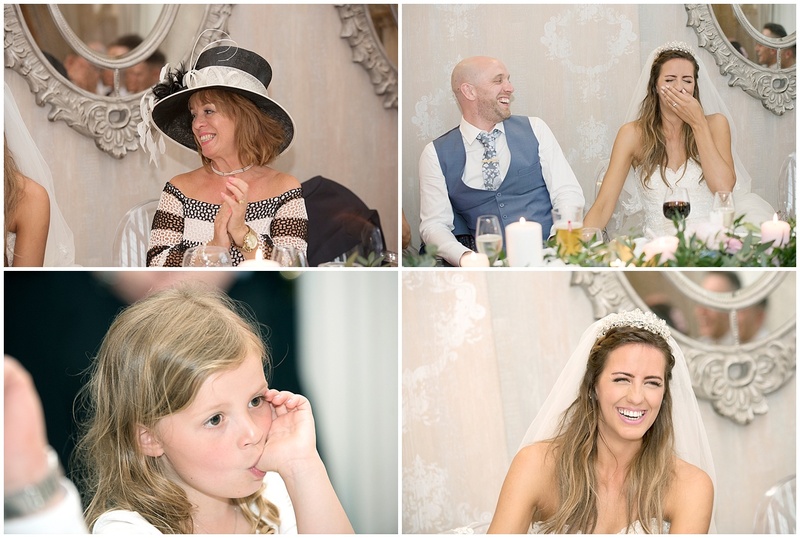 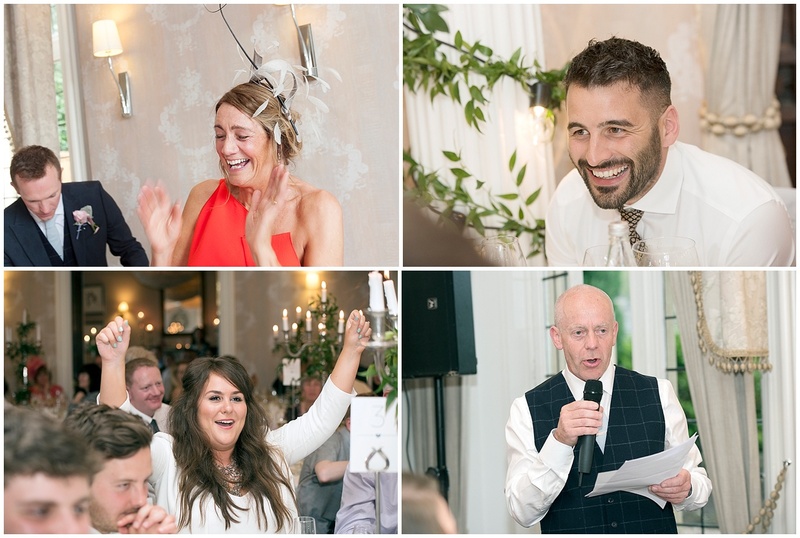 Some emotional speeches were followed by a lovely afternoon of dinner and dancing. 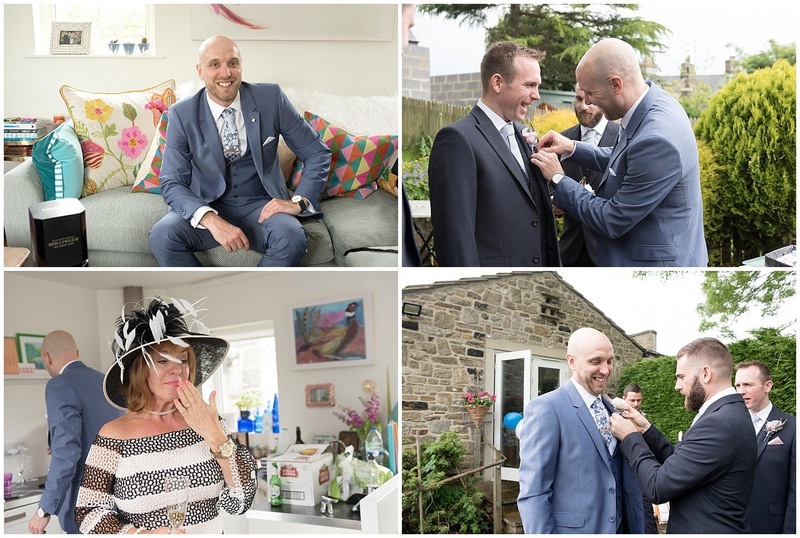 I had such a good day at Jo and Craig’s wedding in the Yorkshire dales, such lovely people, family and friends and two stunning settings as well. 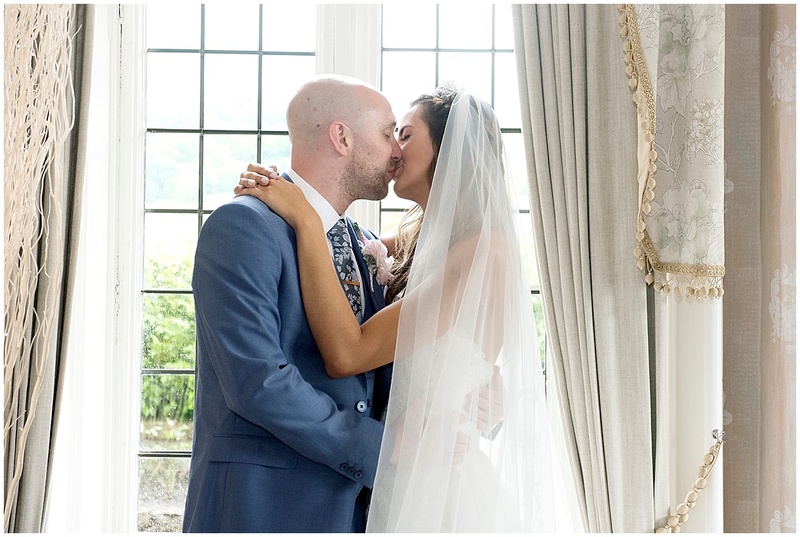 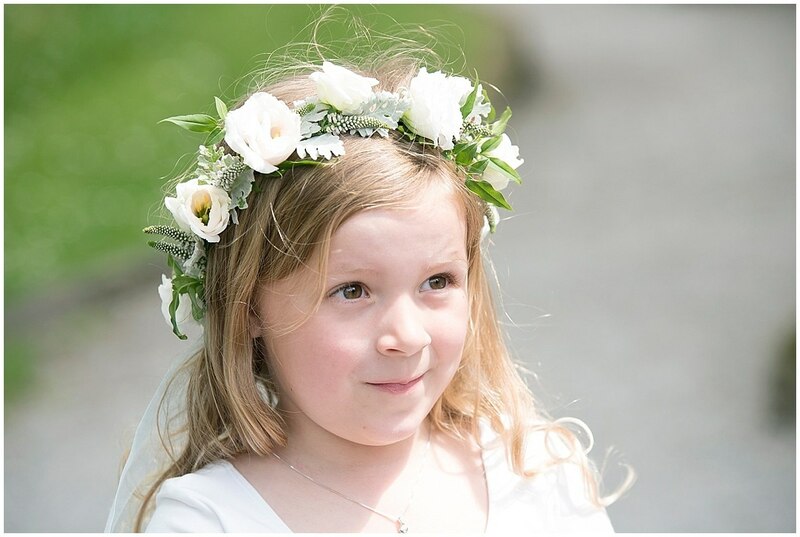 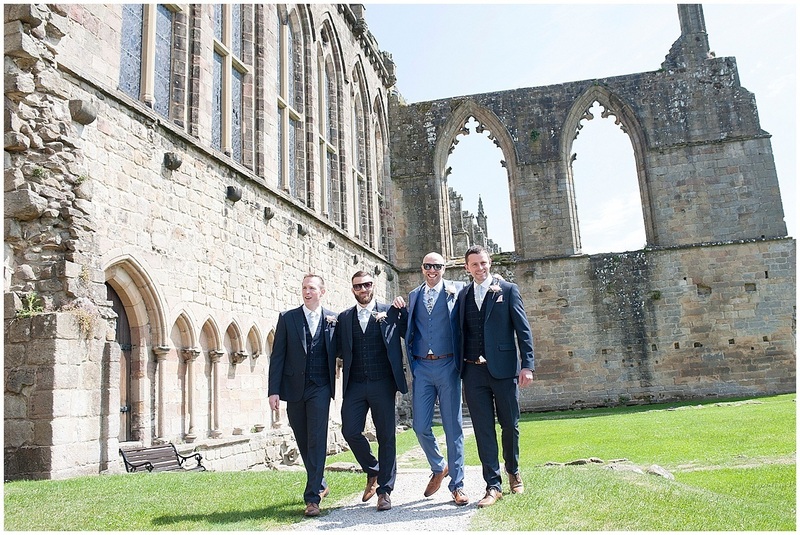 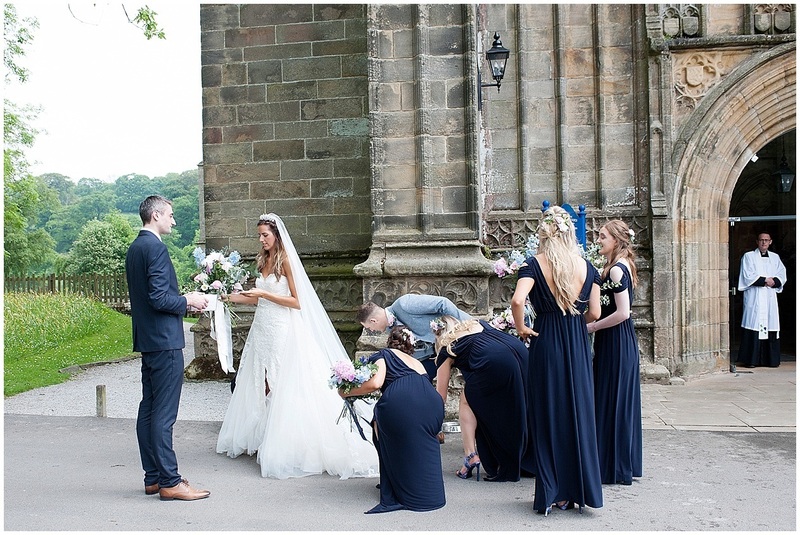 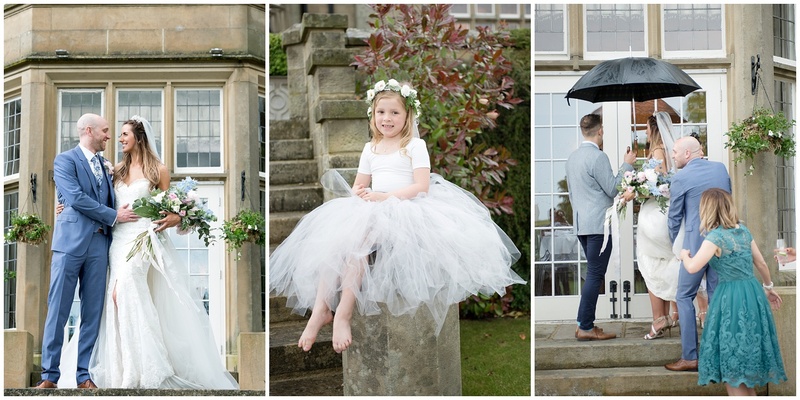 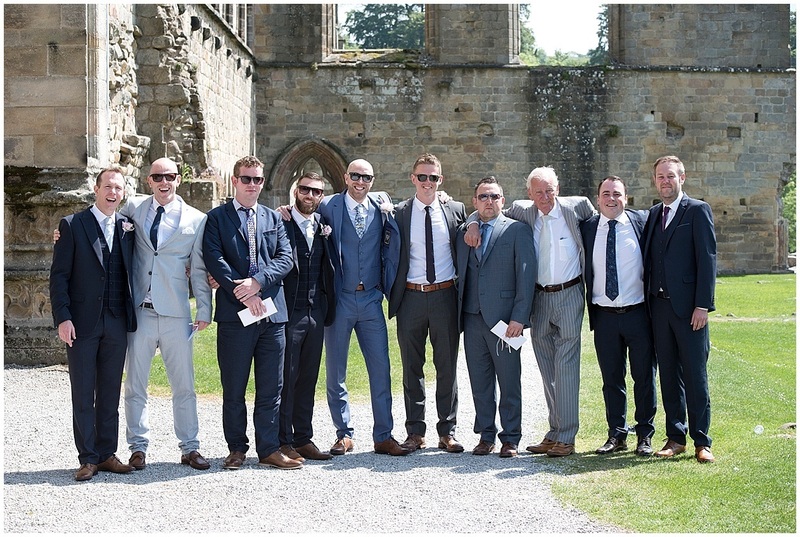 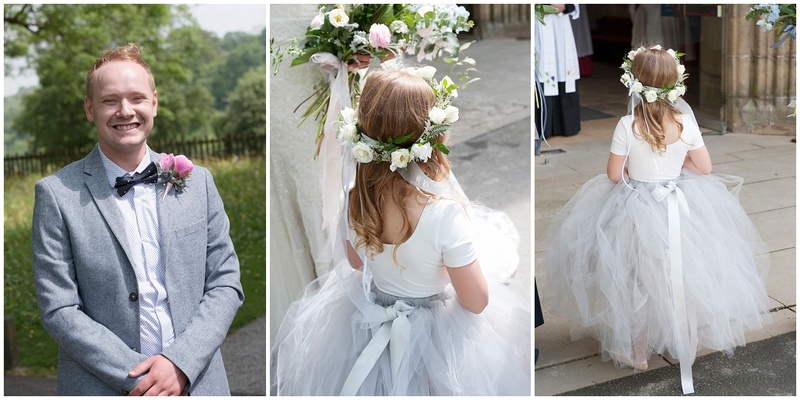 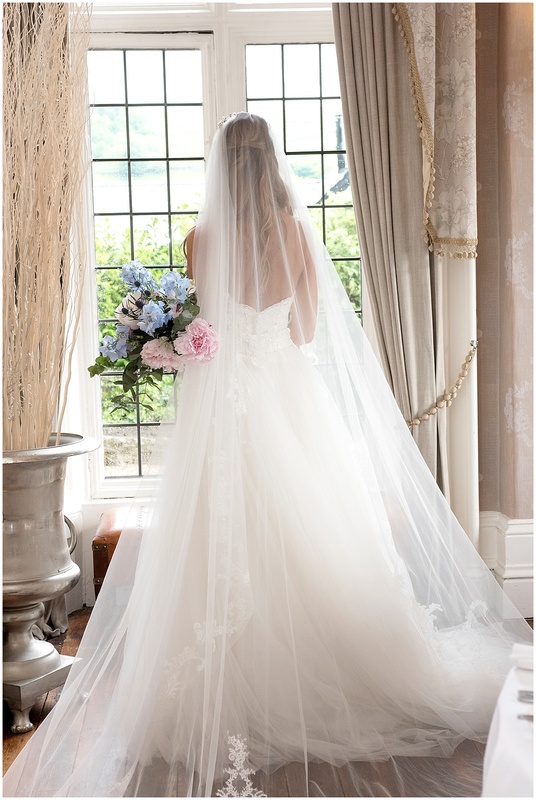 I hope you have enjoyed having a look through these Bolton Abbey wedding photography pictures. 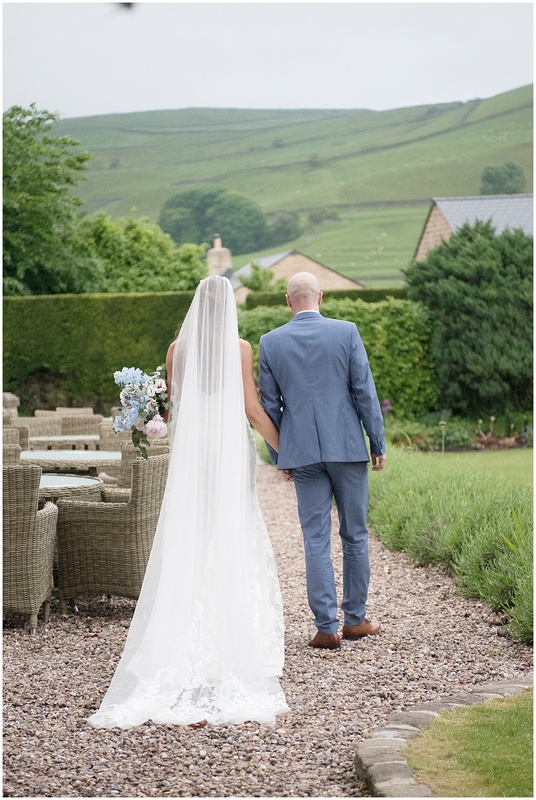 If you are planning your own Bolton Abbey wedding or perhaps getting married somewhere else nearby in the Yorshire Dales please get in touch as I would love to here from you.